I had originally planned for this one to fit into Skiffy & Fanty’s 2015 theme of female authors, but after reading it I wasn’t sure that the genre would be a suitable fit, as wonderful as this omnibus is. 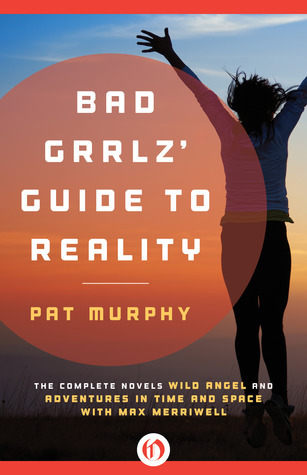 Composed of two complete novels, Wild Angel and Adventures in Time and Space with Max Merriwell, Bad Grrlz’ Guide to Reality is two thirds of a meta writing exercise tried out by Pat Murphy, a writer whose back catalog of fiction I increasingly realize I need to seek out in its totality. The one third missing from this omnibus is There and Back Again, the first novel of the loosely linked ‘series’, and as you can probably surmise from the title, it’s inspired from The Hobbit. And, apparently the Tolkien estate took exception to that. Following some threats it was apparently taken out of print, and in this state it remains. 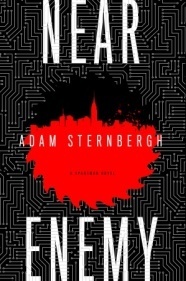 The purpose of the three meta volumes and some of their links (which arise mostly in the third novel) seem to be lost due to this unfortunate control, but for the most part the two novels here can be read effectively on their own (particularly Wild Angel) or in combo as presented by Open Road Media in electronic format for a great price. There and Back Again was the fantasy component to the trilogy and you can probably tell from its titel that the second novel of the omnibus here is the science fiction component. This leaves Wild Angel, which is basically a Western adventure, or historical novel. I found Wild Angel absolutely brilliant and empowering, dominating over Adventures in Time and Space with Max Merriwell, which seems bound in the meta construction of the trilogy, interesting, but not profound. In Wild Angel, a young girl named Sarah witnesses, while hidden unseen, her parents horrifically murdered by opportunistic bandits in the hills of California. Scalping the victims to make the attack superficially appear like a native American raid, the bandits steal the gold that Sarah’s parents were collecting while Sarah flees silently into the wilderness. Traumatized and alone amid nature, Sarah is adopted by a she-wolf who raises her among the pack. As Sarah grows and learns survival as a wolf, one of the thieves secures the gold and begins using it to establish a reputation in the budding old west town, only to hear rumors whispered of a young wolf-girl in the wilds, a potential witness to his crimes and ill-gained position. Partially inspired by Tarzan, more generally the novel seems influenced by timeless legends of feral children and most particularly the archetype of the wild woman (turned to from time to time for feminist analysis as by Estés). Murphy also uses Sarah and the plot to explore feminist themes and to criticize concepts of Western culture exceptionalism. The civilization of Western expansion is contrasted to the civilization of native populations and the inherent biological capabilities, instincts, and intelligence of humans when even stripped of all ‘civilized’ remnants. This permits Murphy to highlight absurd social constructs that people, especially females, are expected to conform with for no rational purpose other than to facilitate separation or oppression. Things that otherwise we take for granted until stripped down to the simplest of lives that Sarah enjoys. Beyond the significance of its themes, Wild Angel is simply well written and a fun read. 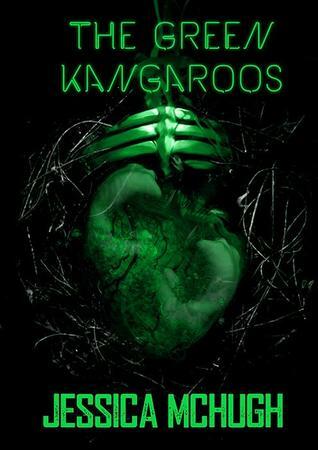 It has a good mixture of contemplative seriousness, light humor, conflict and danger, and tenderness. In contrast, Adventures in Time and Space with Max Merriwell is far more limited in scope and vision. 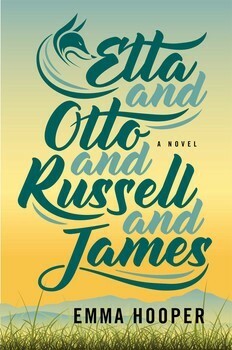 Taking place on a cruise ship full of eccentric characters as it heads into the Bermuda Triangle, the novel mixes quantum physics with a murder mystery to tie together the other two novels in the series into its recursive plot. It is in this third novel that the Bad Grrlz’ Guide (to Physics) comes into play, comparing facts of quantum physics such as entanglement, with events in the macro. Aboard the ship reality begins to go askew as events turn surreal and the line between characters real and imagined, living and dead, begin to blur as if existing in two states simultaneously. Events from both There and Back Again and Wild Angel are retold by characters in this book, for instance one ‘scene’ in Wild Angel where a surreal turn of events uncharacteristic for that novel’s setting and tone. In Wild Angel, this is where the universe of Adventures in Time and Space with Max Merriwell become entangled with its plot. Characters appearing in Wild Angel (and presumably There and Back Again) reappear in this third novel, including a character named Pat Murphy. The real Pat Murphy actually writes Wild Angel as an artist and adventurer named Max Merriwell, who is also a major character in that novel, and who writes frequently under pseudonyms like Mary Maxwell. This recursive structure for the novels with its gender swapping is in the background of the other novels, not essential to the stories or themes, but relating to them. In b Adventures in Time and Space with Max Merriwell this becomes the crux, in relation to modern physics and in relation to writing. Point to point decisions, quantum events end up defining observed reality as a wave of possibilities collapse. Or in the Bermuda Triangle, the reverse happens and perspectives, possibilities all coexist like in the mind of an author, a creator. Personally I found Adventures in Time and Space with Max Merriwell too gimmicky in this respect, and think that its surreal, almost farcical nature would have fit better into shorter form. Though more lighthearted, Murphy does still compose this final novel exceptionally well, keeping a consistency with references to the previous novels and vice versa, despite the walls, laws, of normal macro reality breaking down. Very different novels, though interlinked on many levels, both are worth checking out. And now I’ll have to scour second-hand shops for There and Back Again. Disclaimer: I received a free advanced reading copy of this from Open Road Media via NetGalley in exchange for an honest review. 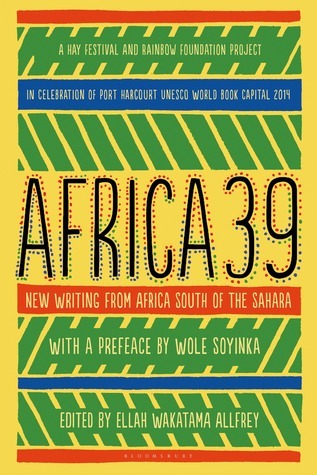 Africa39 is a project celebrating “thirty-nine of the most promising writers under the age of forty with the potential and talent to define trends in the development of literature from Sub-Saharan Africa and the diaspora.” Born from the Hay Festival and the designation of Port Harcourt, Nigeria as the UNESCO World Book Capital of 2014, the anthology collects fiction from the invited authors in the forms of short stories and novel excerpts. Having read some stellar African fiction (mostly from Francophone countries) and having travelled to Botswana, I was really intrigued and interested in this collection, particularly to discover some potential new authors or works. Because I largely looked at this as a diverse introduction to talented writers from Sub-Saharan Africa, I didn’t need each story or excerpt to stand on its own and delight, just merely impress enough of some skill in the author, and more so themes tackled that seemed interesting to me. 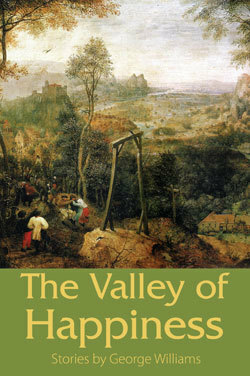 The voices and points of view are varied, as are the settings and tones. Some are focused on a specific historical or political situation whereas some or more personal, focusing on shared human emotions that would be familiar to most any reader. While the short stories universally worked well in the anthology, I found the novel excerpts to be more problematic. I personally dislike novel excerpts as a concept/practice. There is a reason why these words are in the context of a story that is novel length. They cannot be divorced from the larger context and remain the same. A few in this collection do stand on their own, but whether they are really expressions of the novel in microcosm is uncertain. But most seem dreadfully incomplete, or (in the case of one where I have already read the whole novel) fail to show the genius and beauty of the full work. I already read and reviewed All Our Names by Dinaw Mengestu. I adored the novel. But rereading the excerpt in this I didn’t feel much at all, it is too small a piece to have meaning. I wish that the editor for this had only solicited or accepted actual short stories. The problem I know is that not ever talented fiction writer can do the short form. Some authors are great at novels, but not shorter works (or vice versa). But the excerpt doesn’t exactly do them justice either. Worse, some of the excerpts are from novels in the process of being written. So these may never be fully completed or see the light of day as currently envisioned. Thus, this anthology really does serve best as a writing sampling, ideal for readers who are interested in Sub Saharan African literature and want to see simple samples from the current prospects and stars. While many of the stories in the collection do more, and would be on par with any other literary collection, they don’t necessarily make up the majority. Disclaimer: I received a free advanced reading copy of this from Bloomsbury via Goodreads’ First-Reads Giveaway Program in exchange for an honest review. If you have read and enjoyed Lord’s The Best of All Possible Worlds, then you should be eager to read her new The Galaxy Game. If you haven’t read her previous novel set in the same universe as this one, then you should go and read The Best of All Possible Worlds. I wish I had, and despite the flaws I see in The Galaxy Game, I’ll starting back at her earlier work and eventually rereading this one again with a bit more familiarity under the belt to guide/support me as a reader. 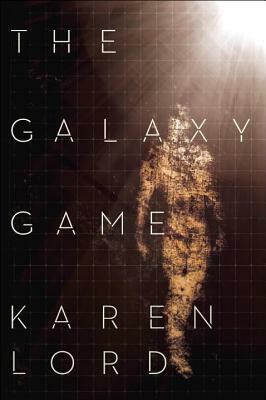 The Galaxy Game presents itself as a stand-alone novel in its plot (which it truly is), and I had every expectation to adore it as my introduction to Karen Lord’s praised writing. Indeed there is a lot here to affirm that she has exceptional writing talent, and interesting, unique things to say. Unfortunately her writing fails in easily reaching a new reader in the case of this novel, its multileveled complexities obscure its worth. The plot of the book is rather straightforward and doesn’t really hint at the strengths of Lord’s writing that lie beneath it: her language and her universe building. The heart of the novel is a teenager with psionic powers named Rafi. For historical reasons within this universe, societies largely mistrust these powers and Rafi is effectively kept ‘prisoner’ under government watch at a special school. While he lives a normal teenage life of close friendships and hobbies, the looming responsibilities of adulthood, pressures from his family, and uncertainty over his powers all hover over his daily routines. Most of this plot exists as a slow build, a nuanced character study that begins to reveal key aspects to Lord’s universe in these novels. Though with a teenage protagonist on a seemingly standard coming-of-age journey, this is far from a young adult book. After a tantalizing prologue, I stepped into this story eager to go along, not really minding that it proceeded so slowly. What I did mind, was that Lord seemed to assume so strongly that readers were familiar with her universe, how it is set up, what the people are like, who different players are. Very little is offered to give a reader bearing. Alone this might not be a death toll. Complex, subtle novels can work tremendously, even rushing in without firm footing. However added to the assumptions of familiarity and the slow, meandering plot, Lord additionally writes her interesting themes into yet another layer of complexity: multiple points of view. Thankfully these are limited to mostly third person and a first person, but the similarities of third person voices (particularly early on as you are trying to get used to everything), make it hard to tell who is speaking. Eventually, circumstances force Rafi to flee to a planet where his psionic abilities are far more common, and appreciated. Despite being in a more familiar, accepting environment, Ravi discovers this planet and society comes with its own challenges, one society amid a shifting galaxy of politics, and games. For all the befuddlement that may befall a reader, The Galaxy Game does have some elements that make it stand out, beyond to beauty of the prose and the interesting sociopolitical commentary at play. Sports pops up in science fiction from time to time, but not too frequently. Lord combines the psyonics with a sport called Wallrunning, one aspect of her world building here that did seem evocatively described, and some of my favorite moments from the book were the parts featuring this. Another great element is simply Rafi. Perhaps it is partly the empathy the reader can sort of feel with Rafi at being out of place, lost, in this society, but parts from the point of view of Rafi (and to a lesser degree his friends) are the closest to familiarity I felt while reading this. Other reactions to The Galaxy Game seem similar to mine. For instance Sunil Patel’s contribution to the new review section of Lightspeed Magazine echoed well many of my own frustrations with seeing so much potential here, but not coming away really fulfilled. On the other hand, writing for NPR, Amar El-Mohtar had a much more positive reaction despite recognizing the challenging nature of this novel. Aside from differences arising from familiarity with The Best of All Possible Worlds, another factor that I realize may significantly alter one’s perception of the The Galaxy Game could be the format in which you read it. El-Mohtar speaks in her review of needing to flip back to pages previously read. I would have loved the capability to do that, but having an electronic copy alone, this wasn’t possible (well at least not very facile). So get the physical copy if at all possible if you give this one a try. One final point: in struggling to put my thoughts over this novel into words I did also listen to this fantastic, fascinating interview that Skiffy & Fanty did with Karen Lord on The Galaxy Game. Whether you to decide to read the novel or not (or if you already have read it), I think it’s well worth a listen. Disclaimer: I received a free advanced reading copy of this from Del Rey via NetGalley in exchange for an honest review.